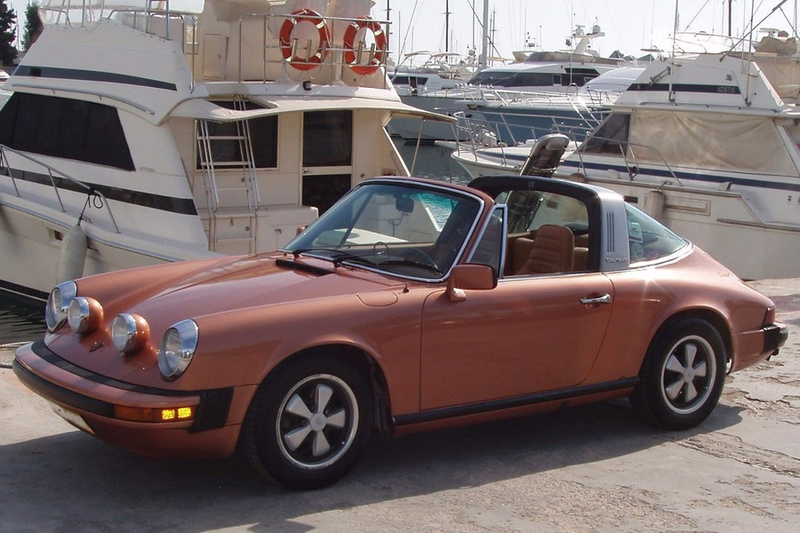 Current registration: Federation Internationale des Vehicules Anciens of Greece. 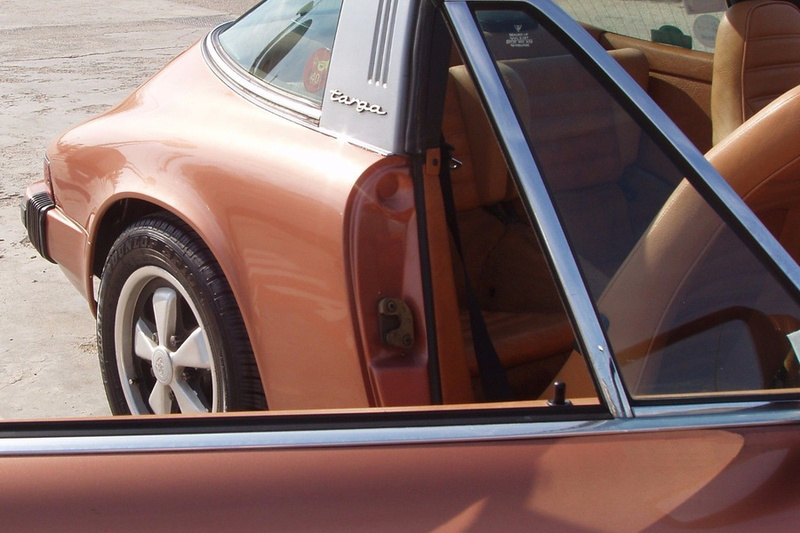 General: Replaced interior rear view mirror, tailights and exterior rear view mirror lenses at Porsche Zentrum Nurnberg, Germany. 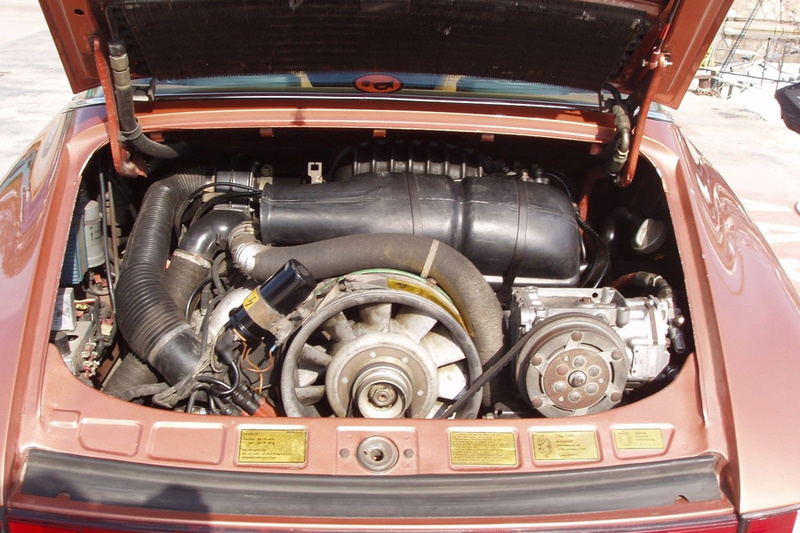 Engine: Full service with tensioners, sparkplugs, filters and fluids replaced. A new AC York compressor was fitted. Electrics: Wiring looms and rear window heating were repaired. Also 4 new audio speakers were installed. Two new CIBIE-type foglights were sprayed in correct Salmon metallic and fitted on the bonnet. A rear foglight was also installed. Wheels: All tires were replaced and removable spacers were fitted in the rear. 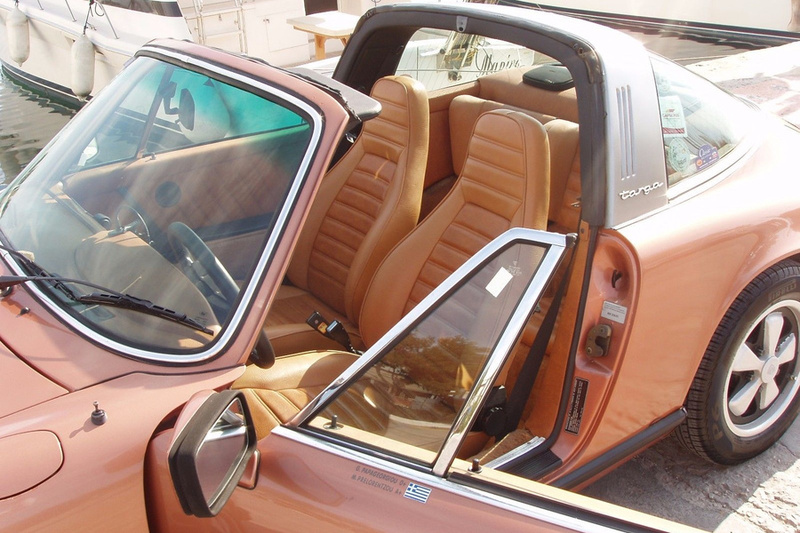 Interior: Front/rear seats, doors and pilars were retrimmed in cork leatherette with originals preserved. The steering wheel was reupholstered. 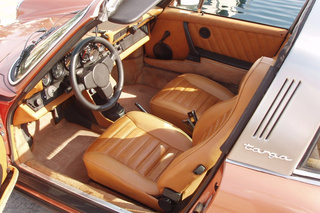 All interior and trunk carpets were replaced. 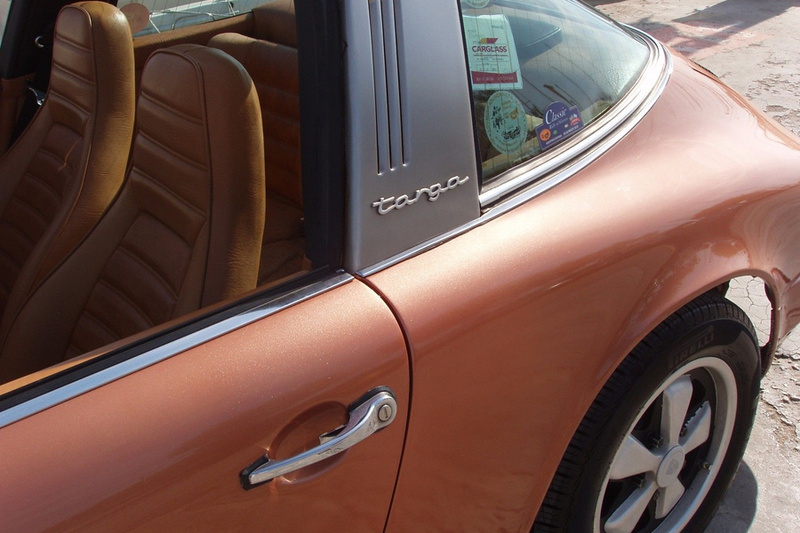 The Targa roof was insulated and reupholstered. 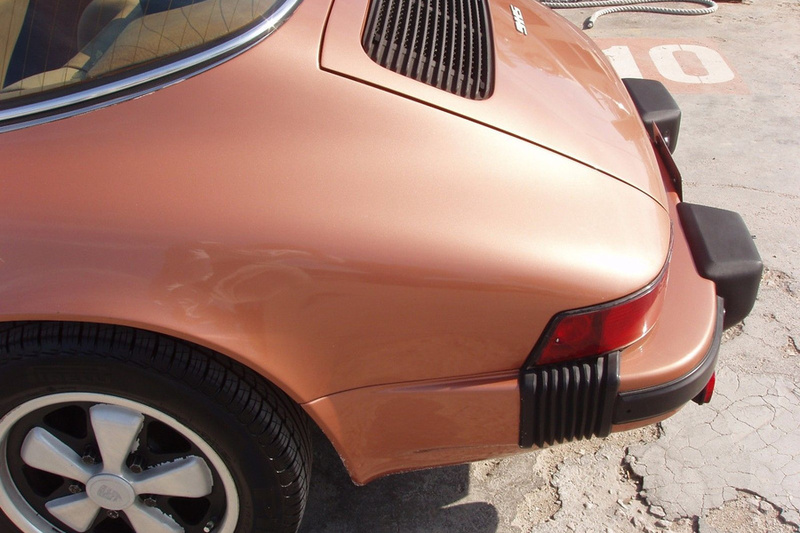 This 911 was manufactured in the very last year of the G series’ 2.7 S production and thereby evolution. 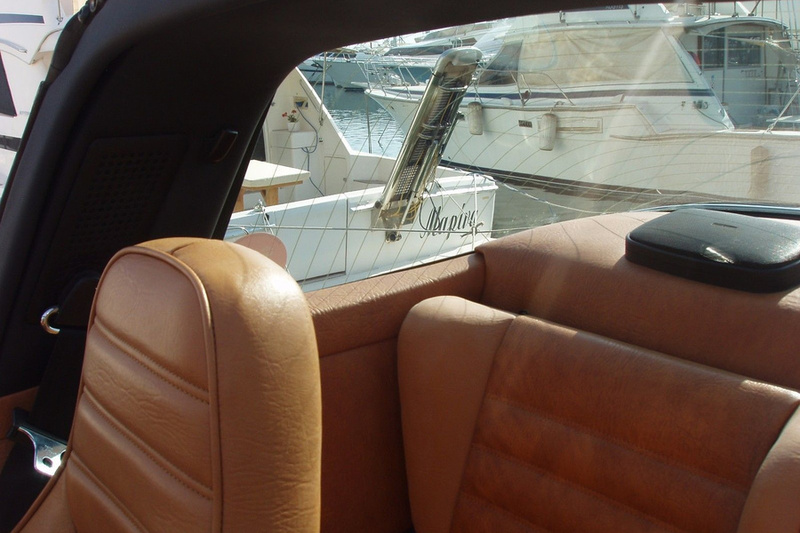 In specific, a special order was placed for the stellar colour combination of Salmon metallic (Lachsdiamant, code 036-9-3) over cork interior. After many years in the US, the vehicle was traced by marque specialists in Germany who were searching under a client's request for an unmolested and preserved example. 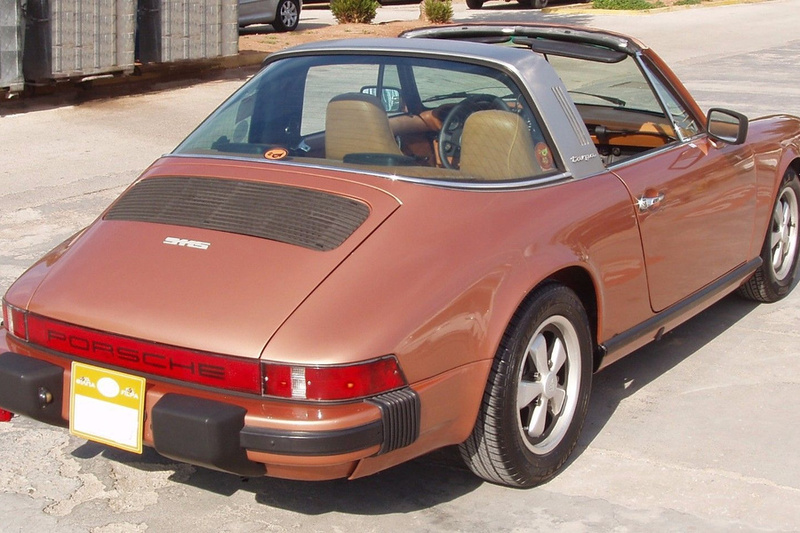 Once imported in Germany it was fully reviewed and serviced by Porsche Zentrum Nurnberg, Germany. Soon thereafter it was sold to their client and collector in Athens, Greece. 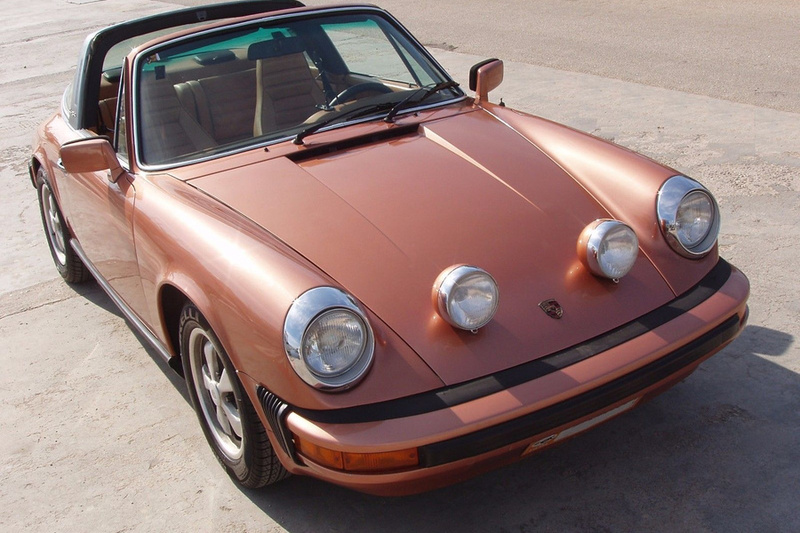 Unlike most 911S in the market, this is a preserved original unrestored example offered in a stunning color combination.